The collaboration of Oriol Llahona with Alma Light results in a new collection of lamps called Capitone. 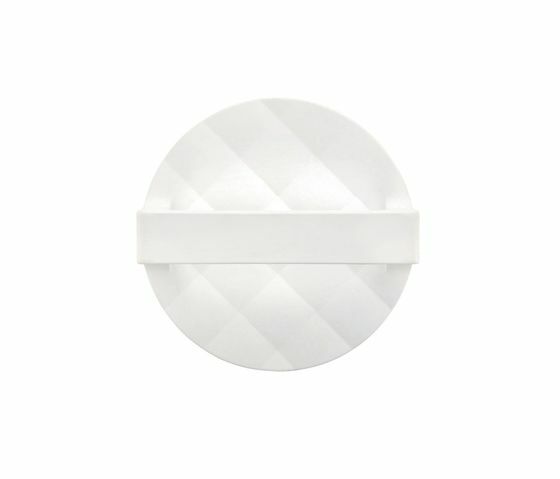 The typical and classic padding style renewed, or rather 'synthesized' provides this collection a striking appearance both in its version of wall/ceiling (indirect light) as in the hanging lamp version. The hanging lamp is made of a new material developed for AlmaLight and its research has been a real challenge for the company and the designer Oriol Llahona. The surface finish is of high quality and provides an elegant translucency. It has to be noticed the change that will make the luminaire when being off and appears as a smooth half-sphere stone, and turned on, when the engraving padding effect will be revealed on the inner side of the sphere, changing completely the aspect of the luminaire, giving it life. The ceiling lamps, using indirect light, are available in 2 diameters (80 and 110 cm), emulating a ceiling rose of plaster as those used in the 1ST half of the last century. In this case the material is used to reflect the light created by the halogen lamps placed on the circular base. One of the greatest novelty in this product is the development and implementation of a new material that had never been used this way in lighting before. This is Solid Surface. This material has been until now marketed in form of panels with different sizes and thicknesses that are processed by cutting, screwing and changing their shape thermoforming them. These boards, which used to be opaque, have been widely used in kitchens for countertops and in bathrooms for sinks, baths and showers. We managed to work this material using molds, so it can adopt any shape and we also managed to make it translucent, without the material losing its qualities. The most important are its visual appearance and to the touch, it is similar to a highly polished natural stone, with a silky, velvety, very warm touch. Then its resistance to scratches and wear. This material can be easily pigmented so we can make customized pieces for customers in both versions, the translucent and the opaque ones. Maintenance of this material is very simple. It can be cleaned using any household cleaner (glass cleaner, alcohol ...) if, after years the material loses clarity, we recommend going over it with a very fine sandpaper to restore it to its original condition. This way, the material does not age, being as perfect as on the first day.